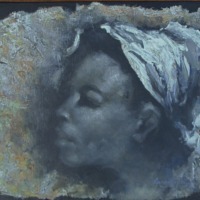 Born in Anse A Veau on March 8,1925,Cedor joined the centre d’art in 1947. He became a teacher the following year and even served as a member of the board of directors Co Founder of the “Foyer des Arts Plastiques”. Cedor has exhibited his work all over the world. 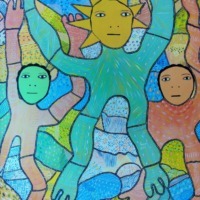 From 1969, his work has been shown in Miami, Columbia, Venezuela, and Panama etc. In 1967 he executed with fellow artist Jean Nehemy, a mural at the then Francois Duvalier International Airport in Port-au-Prince. Considered by many as one of the greatest living Haitian artists. 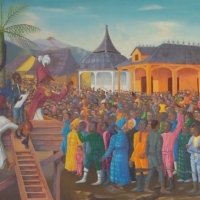 His work is on permanent display at the museum of Haitian art at St Pierre college in Port-Au-Prince. 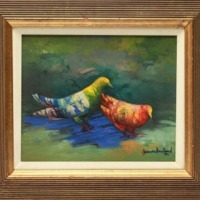 He was one of the late president Nixon’s favorite Haitian artists. 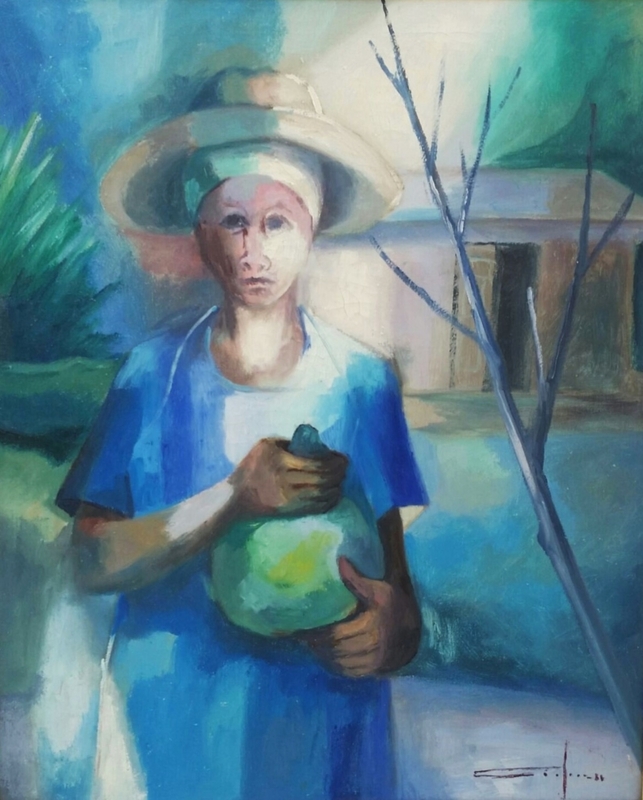 Dieudonne Cedor (1925-b 2010 d), one of the greatest among Haitian Masters,recognition among his peers and abroad, co-founder of “Foyer des Arts Plastiques” and President “Association of Haitian Artists”, a muralist with international exhibits.